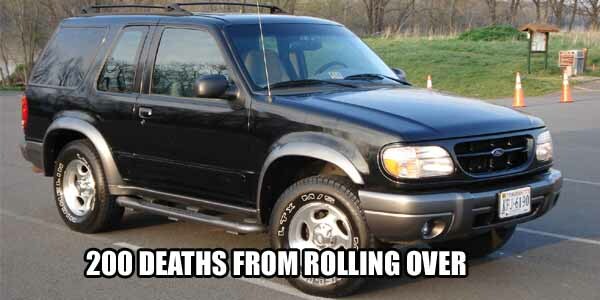 The Ford Explorer was one of the best-selling SUVs of the 1990s because it was very cheap for Ford to build, but it had one terrible defect. It carried far too much weight on top, which made it very prone to tipping over. The Firestone tires that many Explorers came with made matters even worse, with over 200 deaths reported. The Explorer was completely redesigned for the 2002 model year, but the nameplate had already taken a huge hit to its reputation.